Head Start prides itself on its ability to connect with and enhance the lives of children from families of varying backgrounds and opportunities. The program’s services and resources are designed to foster stable family relationships, enhance children’s physical and emotional well-being, and establish an environment to develop strong cognitive skills. But I don’t have to tell you that. We all understand the mission of Head Start. Where we might get confused, is the thousands of different ways that we can utilize the resources available to us, whether staff, technology, or community resources, to deliver on that mission. A question we get a lot when we’re out training is how to effectively use social media to fuel the future success of a program. According to growthgurus.com, 78% of small businesses use social media to attract new customers. 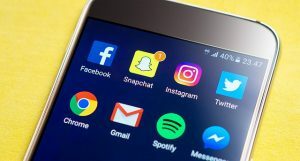 We strongly believe that social media can increase the visibility of Head Start programs, improve the programs’ connection within the community, and enhance communication efforts with existing and potential families. 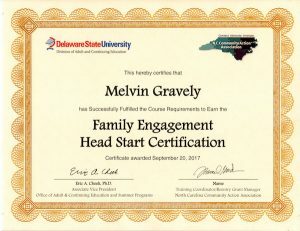 That’s why we were very excited when we saw October’s blog on the ECLKC website called “Using Social Media for your program.” The blog featured a video by Director of Head Start, Dr. Deborah Bergeron, who outlined some of the many ways social media can be used in Head Start programs. 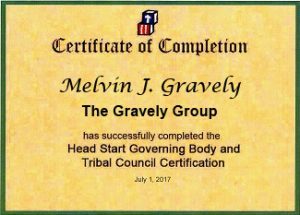 The video goes on to outline the specific four steps Head Start Programs can follow to be successful in these efforts with social media. We’ve summarized them here for your convenience, but we recommend watching the full video to listen to Dr. Bergeron’s expertise on the matter. Select and create a social media leadership team. Candidates should have a passion and subject matter expertise in social media. Designate a Social Media Manager for the team who will oversee the overall strategy and process. Decide who will be the Content Creator. This member of the team will be responsible for adding newsletters, videos, testimonials, job postings, and other information to the social media websites. Select a Community Manager to initiate connections and relationships via the social media platforms. Collaborate with an existing Head Start program that is already using social media effectively and seeing a return based on their efforts. Enabling a learning environment across programs and states can help accelerate what the organization is seeking to accomplish. Have the selected leadership team watch the training module and learn the information. Empower the leaders to “train the trainers” by teaching them what they have learned and equipping them and others to have an impact using social media. Create an annual plan specific to social media. The social media strategy should clearly communicate the aforementioned roles of the leadership team, the objectives of the strategy and desired benchmarks for the Head Start program, and the metrics that will be used to identify progress and/or success. Follow up on execution and pivot as needed to ensure success. Plan for needed funding related to launching the social media strategy, advertising and analysis of impact. Understand the metrics by tracking trends based on how many people are liking the page, the number of followers the page has, the number of people who have viewed information, the number of people who have liked or shared the information. These results will help define visibility and engagement. Review results quarterly and share out. How are you using social media in your program? Any particular successes? We’d love to hear your thoughts! Leave your comments below.